Running Buck Ranch was established in 2000. Beautiful 8 stall barn, well established rolling pastures. One 13 acres and one 7 acres with a four stall open run in barn and close to forest service property on Panther top mountain for riding. 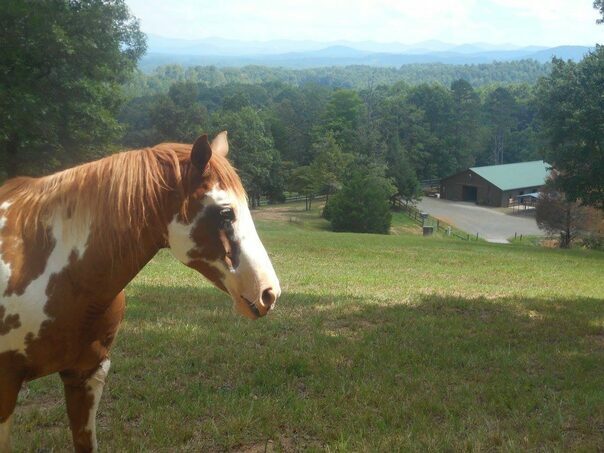 We offer guided day rides and will trailer horses to several beautiful trails within an hour or less in Tennessee, Georgia and of course North Carolina. Please give us a call ... Must see to Appreciate!